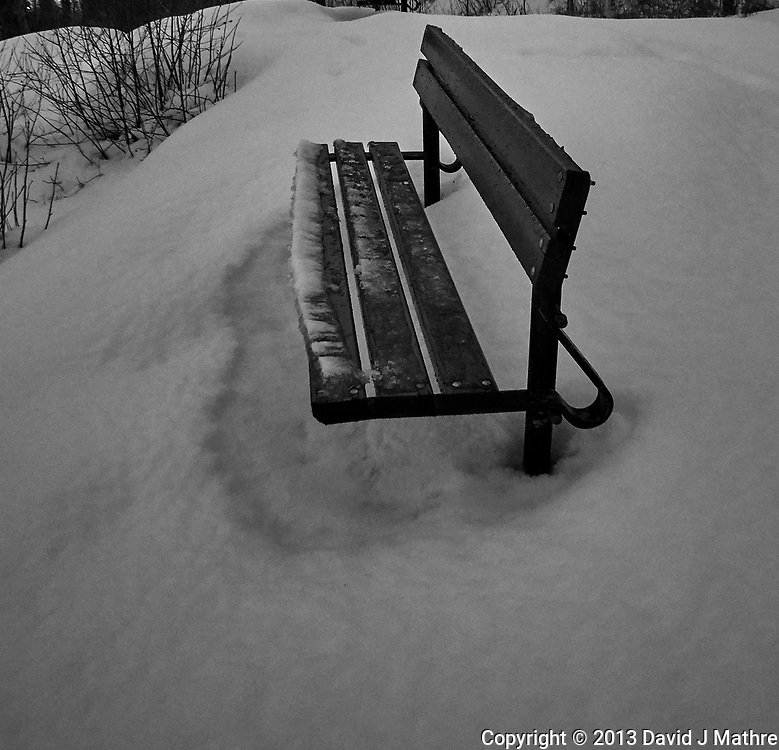 Lonely bench in the snow. Trondheim overlook. Image taken with a Nikon 1 V2 camera and 10 mm f/2.8 lens (ISO 800, 10 mm, f/2.8, 1/60 sec).